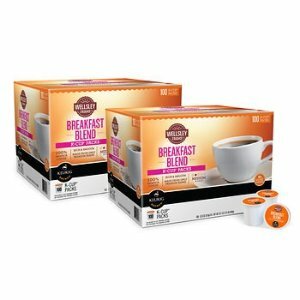 BJ's offers flash sale . BJ's offers the LG 75" UK6190 4K HDR Smart TV for $949.99. Features: Its quad-core processor ensures a clear picture and reduces distracting video noise, while the webOS lets you connect to popular streaming networks. The 75-inch screen of this LG 4K UHD smart TV is slim for seamless viewing. 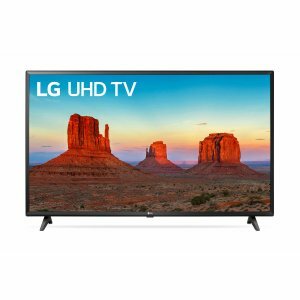 BJ's offers the TCL 55S403 55" 4K HDR Smart Roku LED TV for $369.99. 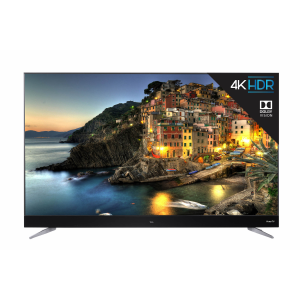 Features: The S-Series 4K TCL Roku TV delivers stunning Ultra HD picture quality with four times the resolution of Full HD for enhanced clarity and detail, as well as the most streaming channels of any 4K TV. 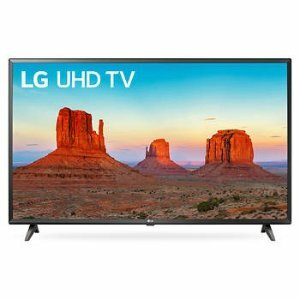 To make the most of all this content, high dynamic range (HDR) technology delivers bright and accurate colors for a lifelike viewing experience. 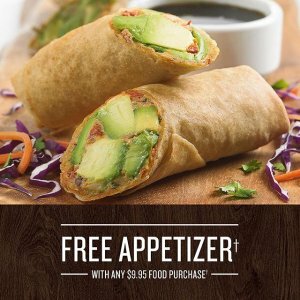 BJ's offers BJ's Restaurant Purchase of Any Food Item free appetizer via coupon code "FREEAPP". 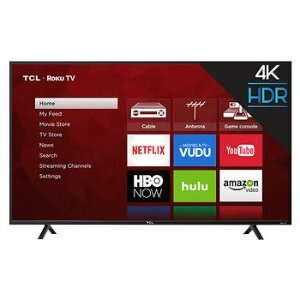 BJ's offers the TCL 55C803 55" 4K HDR Smart Roku LED TV for $399.99. Features: The TCL Roku TV C-Series delivers superior 4K picture quality with Dolby Vision HDR, endless entertainment with over 4,000+ streaming channels and a super-slim contemporary design. With HDR Dynamic Contrast technology and Wide Color Gamut with Advanced LED Phospor, TCL's C-Series offers striking contrast and brilliant, accurate color. The C-Series offers both an ultra-fast dual band 802.11ac Wi-Fi connection and an Ethernet port, allowing you to enjoy a seamless 4K streaming experience. 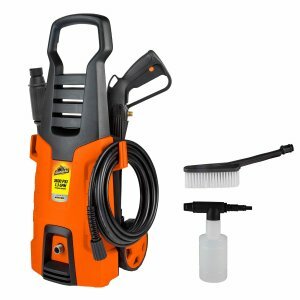 BJ's offers the Armor All 1,600psi Electric Pressure Washer with Bonus Brush and Foamer for $49.99. Features: 1,600psi 1.3gpm electric pressure washer. Variable spray nozzle easily adjusts from wide to pinpoint spray pattern with a quick twist. Weighs only 13 lbs. 5.5" wheels and tall carry handle for easy transport. All-metal hose connections for longer life and durability. 20-foot high pressure hose allows for large use radius, less moving required. Onboard accessory storage pockets protect and secure all attachments. 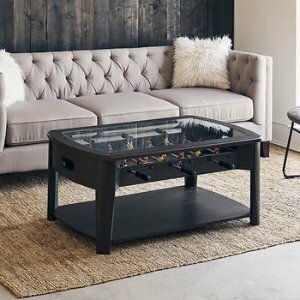 Easy 5 minute setup with no tools required. 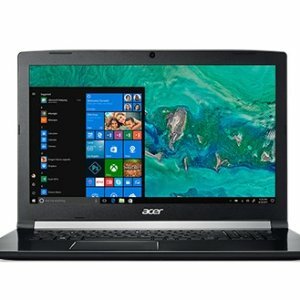 BJ's offers the Acer Aspire 7 Laptop (i5-7300HQ, 8GB, 1TB) for $499.99. Features: Updated with the latest 7th Generation Intel Core i5 processor, this user-friendly laptop will enhance your multitasking skills. The 15.6-inch high-definition display delivers brilliant visuals with enriched color and a good-quality picture resolution. The long-lasting battery makes this laptop a great travel companion, and the sleek and portable design can be easily placed inside a backpack. 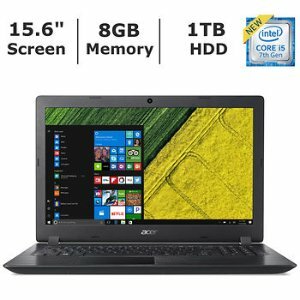 BJ's offers the Acer Aspire 7 Laptop (i5-7300HQ, 8GB, 1TB) for $549.99. BJ's offers the One-Year BJ's Inner Circle Membership +$25 BJ's Bucks for $35. BJ's offers the Dell Inspiron 13 2-in-1 Touchscreen Laptop (i5-8250U, 8GB, 1TB) for $539.99. 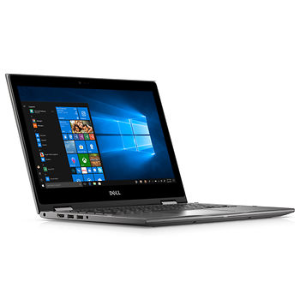 Features: The Dell Inspiron i5379-5296GRY-PUS laptop features a 2-in-1 design with a 360° hinge for both tablet and notebook modes. The Full HD 13.3" touch display is combined with a fast Intel Core i5‐8250U quad core processor, with turbo speed up to 3.40GHz. 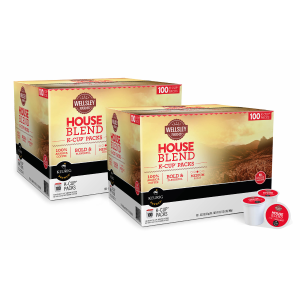 BJ's Restaurant & Brewhouse offers $10 off orders $35+, via this printable coupon. Here is their Restaurant Locations. 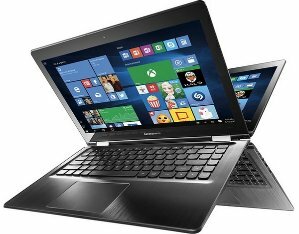 BJ's offers the Lenovo Flex 4 15'' 2-In-1 Laptop (i7-7500U, 16GB, 512GB) for $699.99. 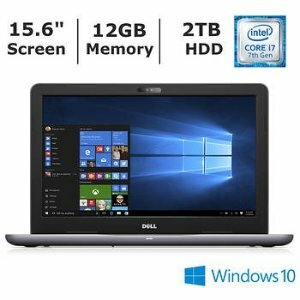 Features: 7th Generation Intel® Core™ i7-7500U Processor (2.70GHz 4MB), 15.6" FHD IPS AntiGlare Multitouch (1920x1080) with integrated camera, 16.0GB DDR4 2133 MHz, 512GB SSD, AMD Radeon R7 M460 2GB. 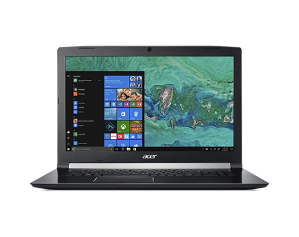 BJ's offers the Acer Aspire 3 Laptop (i5-7200U, 8GB, 1TB) for $349.99. Features: The Aspire 3 Series is the perfect laptop for every need. It packs a beautiful 15.6" HD screen, solid performance and the latest Wi-Fi into an attractive design that's easy to place in a backpack and take to class. Offering comfortable viewing, supercharged internet speeds and a 180-degree lay-flat display, this laptop has all the essentials you need so you can quickly browse the web, manage a budget or catch up on schoolwork. 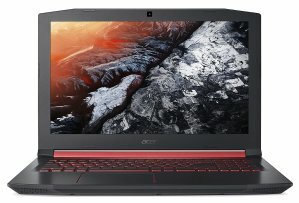 BJ's offers the Acer Nitro 5 Laptop (i5 7300HQ, GTX1050Ti, 16GB, 256GB) for $699.99. Features: Intel Core i5-7300HQ up to 3.5GHz, 16GB DDR4, 256GB SSD; Geforce GTX 1050 Ti 4GB, 15.6" 1920 x 1080 IPS Screen; Gigabit LAN, 802.11ac+BT4.0; 1 x USB3.0 Type-c, 1 x USB3.0, 2 x USB2.0, 1 x HDMI; Windows 10 64bit , up to 8.5-hours Battery Life, red backlit keyboard. 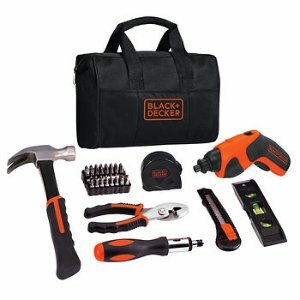 BJ's offers the Black & Decker 41-Pc. 4V Max Lithium Screwdriver Project Kit for $29.99. Features:With a compact design and inline grip, this lithium screwdriver is ideal for tight spaces. The 41-piece kit includes everything you need for DIY projects and everyday use, from hanging pictures to putting together toys. The tool bag conveniently stores and transports all of the items. 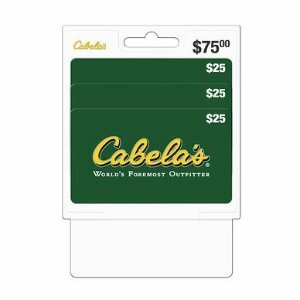 Expired $25 Cabela's Gift Card, 3 pk. BJ's offers the $25 Cabela's Gift Card, 3 pk. 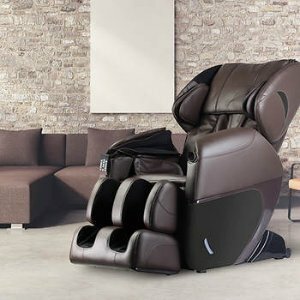 for $56.99. 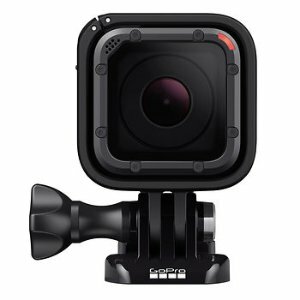 BJ's offers the GoPro HERO5 Session 4K Action Camera for $248.99. Features: With its 4K video, one-button simplicity and voice control, HERO5 Session may be the ultimate combination of performance and small size. Liquid-smooth image stabilization and rugged, go-anywhere waterproof design help capture life as you live it. 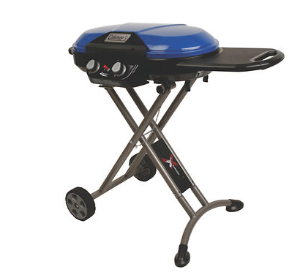 BJ's offers the Coleman 20,000-BTU Roadtrip X-Cursion Propane Grill for $99.99.